Anthony Joseph Francis (born May 7, 1990) is an American football nose tackle for the Washington Redskins of the National Football League (NFL). He was signed by the Miami Dolphins as an undrafted free agent in 2013. Francis played college football at Maryland. Francis has also been a member of the New England Patriots, Seattle Seahawks and Tampa Bay Buccaneers. After going un-drafted in the 2013 NFL Draft, Francis signed with the Miami Dolphins on April 30, 2013. The New England Patriots claimed Francis off waivers on September 1, 2013. He was released on September 7, only to be signed to the team's practice squad three days later. Francis remained on the practice squad until being resigned by the Dolphins in November. On November 27, 2013, Francis was signed off the Patriots' practice squad. Francis was put on injured reserve on August 27, 2014. On November 14, 2015, he was waived by the Dolphins. On November 16, 2015, Francis was acquired off waivers by the Seattle Seahawks. On November 24, he was released by the team, but signed to the practice squad two days later. On November 30, 2015, he chose to be promoted to the active roster in Seattle over resigning with the Dolphins to their active roster. On March 8, 2016 Francis signed his one-year exclusive-rights tender deal to return to Seattle. On May 17, 2016 Francis signed with the Tampa Bay Buccaneers. On October 12, 2016 Francis signed with the Washington Redskins. He was promoted to the active roster on November 29, 2016. In April 2015, Francis signed up to be an Uber driver. He co-hosts the professional wrestling podcast "Jobbing Out" with Aaron Oster (Rolling Stone/Baltimore Sun) and Glenn Clark (PressBox). ↑ Prewitt, Alex (April 30, 2013). "A.J. Francis signs with Miami Dolphins, gets engaged on same day". WashingtonPost.com. Retrieved 2014-06-08. ↑ Beasley, Adam (November 27, 2013). "Miami Dolphins sign defensive tackle A.J. Francis". MiamiHerald.com. Retrieved 2014-06-08. ↑ "Seahawks Make Roster Moves". Seahawks.com. November 16, 2015. Retrieved November 29, 2015. ↑ Boyle, John (November 24, 2015). "Seahawks Re-Sign RB Bryce Brown and Promote WR B.J. Daniels from Practice Squad; Waive DT A.J. Francis and Place LB Nick Moody on IR". Seahawks.com. Retrieved November 29, 2015. ↑ Henderson, Brady. "Seahawks waive Jesse Williams; A.J. Francis signs ERFA tender". 710Sports.com. Retrieved 2016-03-10. ↑ Smith, Scott (May 17, 2016). "Bucs Add A.J. Francis to DT Corps". Buccaneers.com. Retrieved September 4, 2016. ↑ "10/12: Redskins Make Roster Move". Redskins.com. October 12, 2016. ↑ Czarda, Stephen (November 29, 2016). "Redskins Sign Defensive Lineman A.J. Francis To Active Roster". Redskins.com. ↑ "A.J. 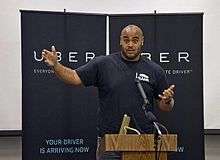 Francis, Dolphins defensive tackle, moonlights as an Uber driver". ESPN.com. June 9, 2015. Retrieved August 10, 2015.